On Sale Now! 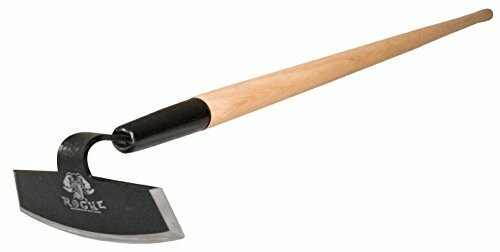 Save 9% on the Prohoe Rogue Garden Hoe - 7 Inch by Prohoe by Prohoe at The Net Stores Network. MPN: 70G. Hurry! Limited time offer. Offer valid only while supplies last. The original. 7 inch wide cut head, sharpened on all three sides for work in wide as well as tight areas. Just turn up on its side for tight spots. If you have any questions about this product by Prohoe, contact us by completing and submitting the form below. If you are looking for a specif part number, please include it with your message.